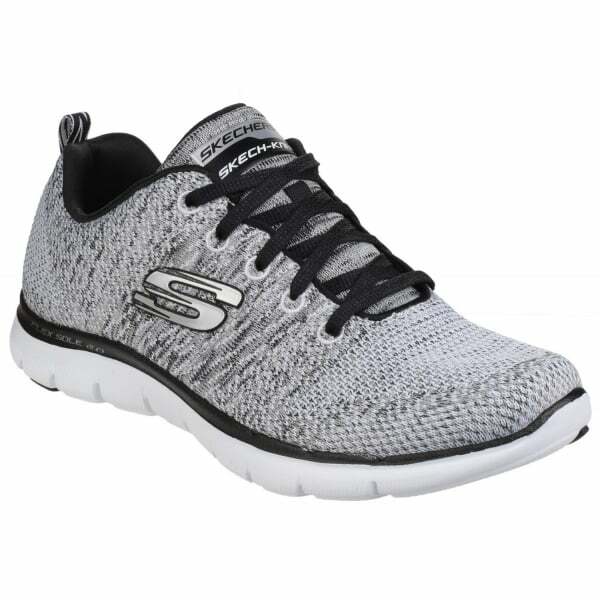 A sporty favourite gets even better in the SKECHERS Flex Appeal 2.0 - High Energy shoe. 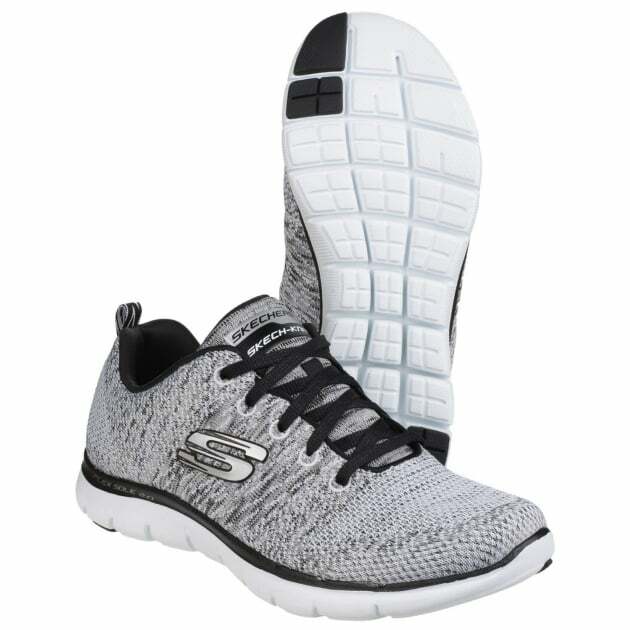 Soft flat knit fabric upper in a lace up athletic sporty training sneaker with stitching accents and air cooled memory foam insole. 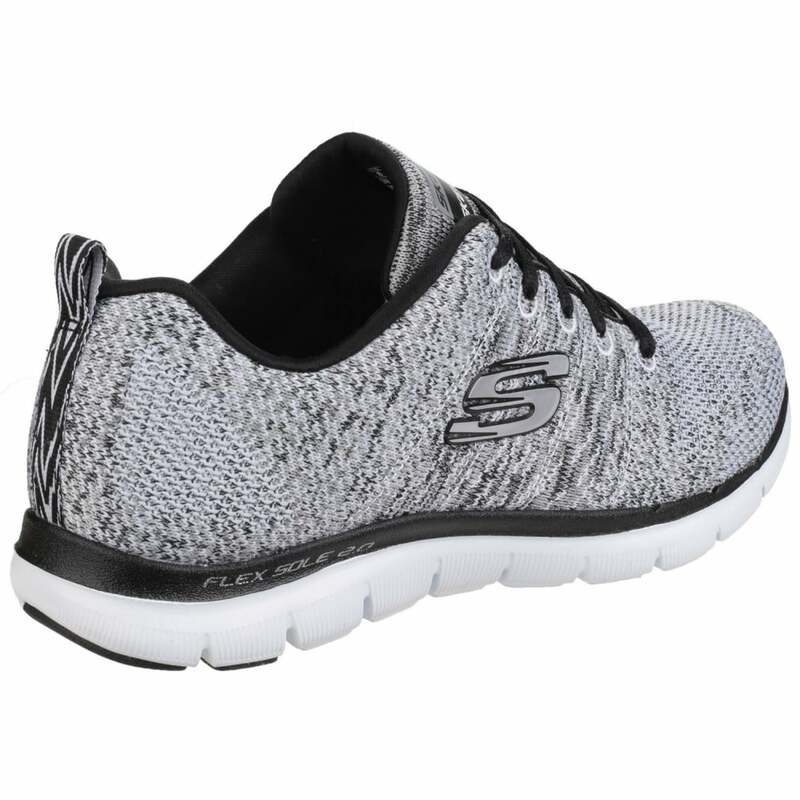 Soft and comfortable flat knit upper.Athletic sporty trainer. Woven panels for ventilation. Contract coloured stitching stripe designs. 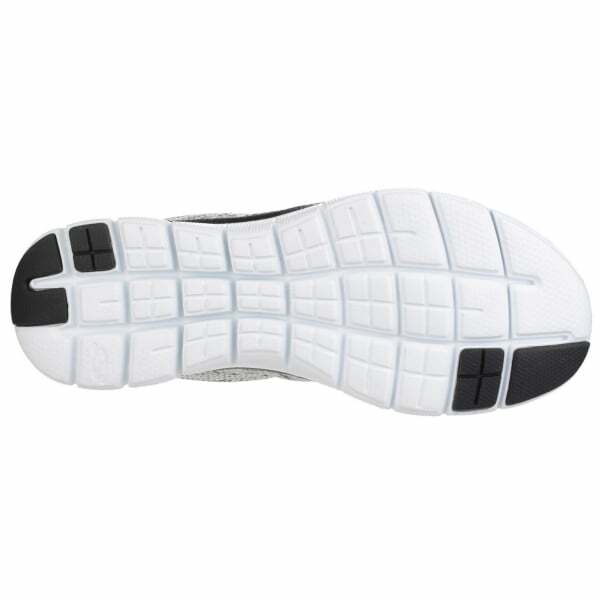 Air cooled memory foam insole for extreme comfort. Rubber traction sole gives added grip for a true step.